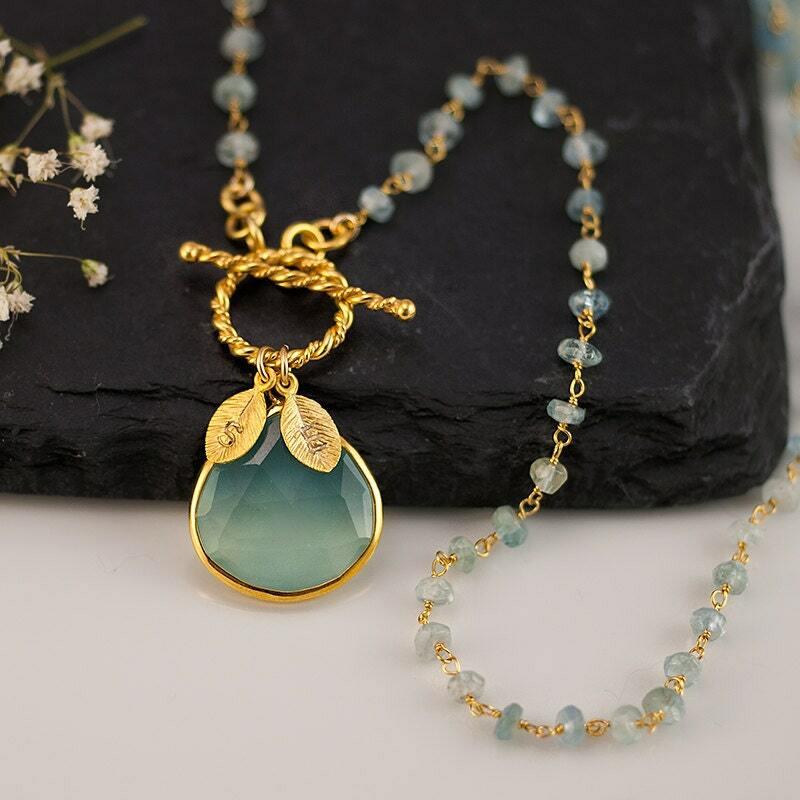 This listing is for a beautiful bezel set Aqua Blue Chalcedony stone in 18k gold vermeil with an 18k gold vermeil toggle clasp lariat necklace. 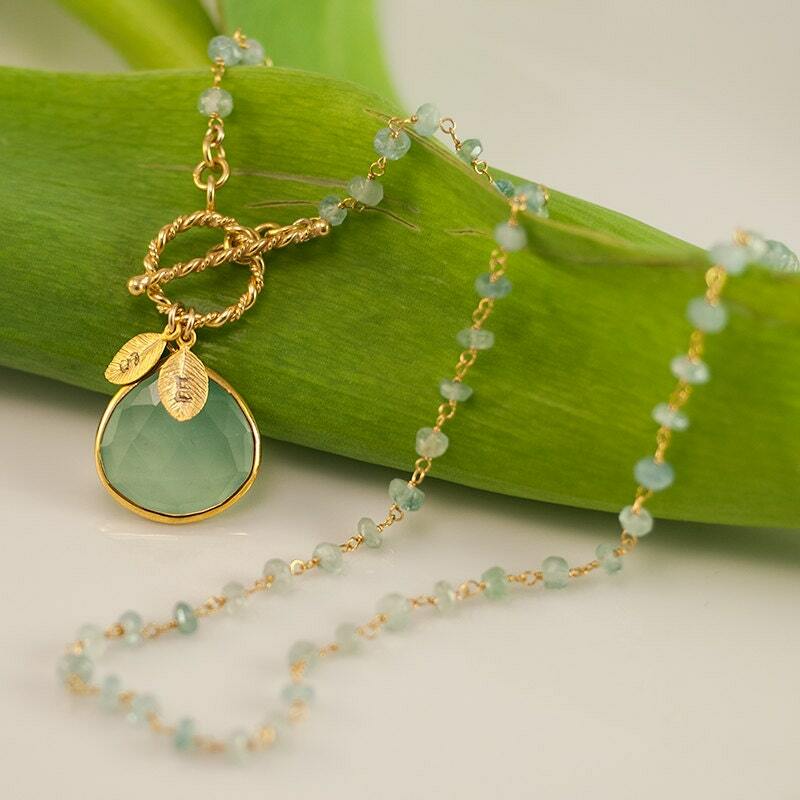 The chain is hand wire wrapped natural Aquamarine. 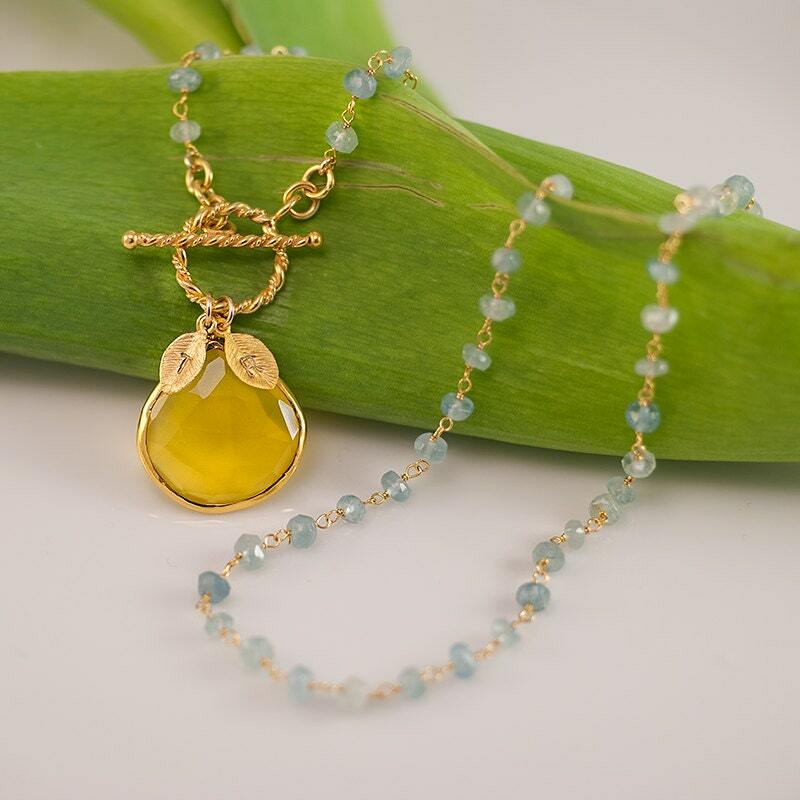 The leaf charms are 16k gold plated base metal. ✦Please leave me a comment during checkout with the personalized letters you would like. 1 letter per leaf. 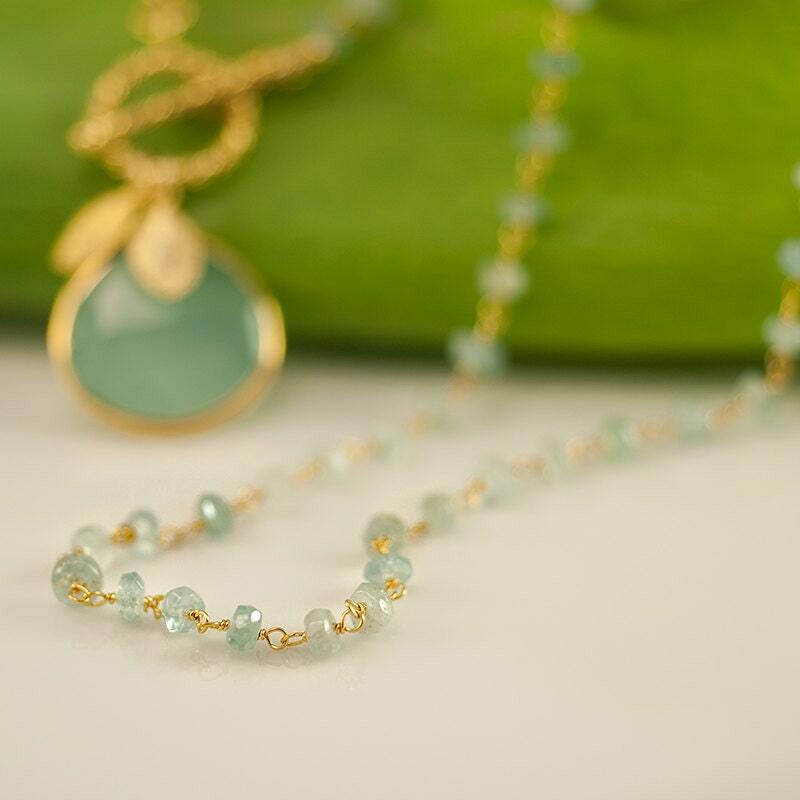 Upto 4 leaves per necklace. Shipped on time, great quality. Mom will love it for mother’s day! Absolutely beautiful! I am purchasing another for my sister! Fantastic service, really fast and prompt service and beautiful product. Shipped quickly. 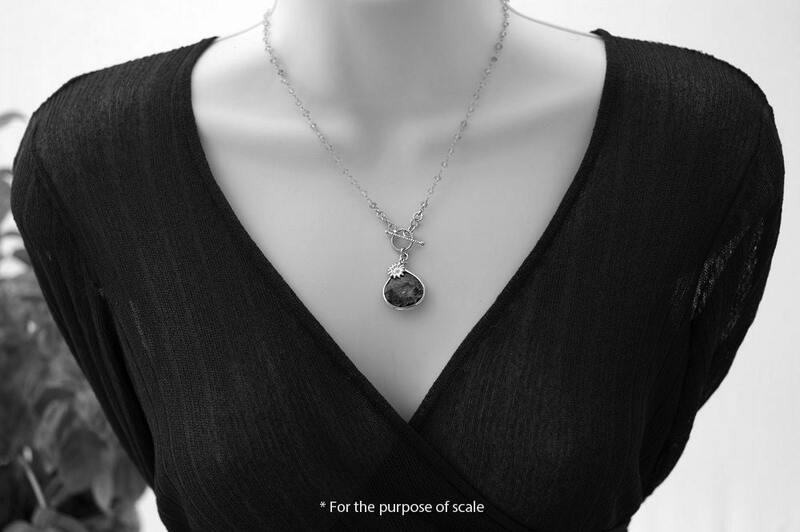 Item is delicate and beautiful. My mother-in-law will love it for Christmas!